All materials, including video clips, illustrations, photographs, product, images, artwork, designs, logos and trademarks (collectively, "Content") appearing on this site are owned or controlled by Lafonn, LLC. and/or its subsidiaries and affiliates (collectively, "Lafonn") and are protected by worldwide trademark, trade dress and copyright laws. The Content of this Internet site, and this site as a whole, are intended solely for personal, noncommercial use by the users of this site. You may download Content only for your personal use for non-commercial purposes, provided you do not modify, obscure or delete any copyright or other propriety notices on this site. No right, title or interest in any downloaded materials or software is transferred to you as a result of any such downloading or copying. You may not reproduce (except as noted above), publish, transmit, distribute, display, modify, create derivative works from, sell or participate in any sale of, or exploit in any way, in whole or in part, any of the Content, this site, or any related software. The use of all trademarks, service marks and trade names on this site, including without limitation, Lafonn, Rhonda by Lafonn logos. SUBMISSIONS AND COMMUNICATIONS TO LAFONN Any creative ideas, suggestions, designs, artwork, materials, comments, feedback, and other communications sent to this Internet site or otherwise to Lafonn by electronic mail (collectively, "Submissions") are on a non-confidential basis. Lafonn is under no obligation to refrain from reproducing, publishing or otherwise using the Submissions in any way for any purpose. Lafonn shall be free to use the content of any such communications, including any ideas, inventions, concepts, techniques or knowledge disclosed therein, for any purpose, including the developing, manufacturing and/or marketing of goods or services. Such Submissions shall be and remain Lafonn property. The disclosure or offer of any Submissions shall constitute an assignment to Lafonn of all worldwide rights, titles and interests in all copyrights and other intellectual properties therein. Lafonn is under no obligation to pay user any compensation for any Submissions or to respond to user Submissions. By participating in surveys, contests or promotions on this site, and/or requesting promotional information or product updates, you hereby agree that Lafonn may use information about you for marketing, product development and promotional purposes. You agree that Lafonn may use information about you and your use of this site in any manner that does not reveal your identity. Further, you agree that Lafonn may send you electronic mail for the purpose of advising you of updates to this site, providing you with information on Lafonn products or Lafonn, LLC, or for such other purpose as Lafonn deems appropriate. 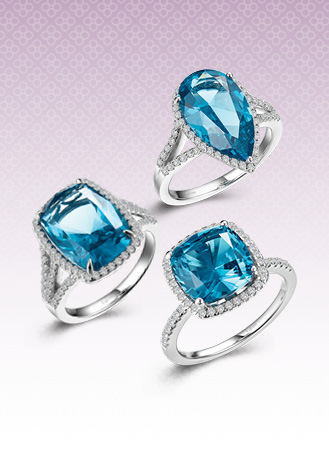 PRODUCTS Lafonn products are available at select jewelry stores, department stores and specialty stores. However, Lafonn cannot guarantee that the products appearing on this site will be available at every authorized Lafonn retailer; availability and selection is subject to the supply of each particular store. All product descriptions, specifications, colors, and prices are subject to change by Lafonn at any time without notice. Prices displayed on the site are quoted in U.S. Dollars and are valid and effective only in the United States. The particular technical specifications and settings of your computer and its display could affect the accuracy of its display of the colors of products offered herein. All product prices for dealers and retailers are subject to change until an order is placed. Ordering from this web site or though affiliate sites is considered pre ordering. An order will be placed by Lafonn, LLC once your pre order is received. LINKED SITES This Internet site may provide links or reference to other sites. However, Lafonn has no responsibility for the privacy practices or content of such other sites or enterprises and shall not be liable for any damages or injury arising from that content. Any links to other sites are provided merely as a convenience to the users of this Internet site. Please direct any complaints or comments as to any linked sites directly to that site's administrator or webmaster. DISCLAIMER THE INFORMATION, SERVICES, PRODUCTS AND MATERIALS CONTAINED IN THIS SITE, INCLUDING WITHOUT LIMITATION, TEXT, GRAPHICS, VIDEO, AUDIO AND HYPERLINKS, ARE PROVIDED "AS IS" AND WITHOUT WARRANTIES OF ANY KIND, EITHER EXPRESS OR IMPLIED. LAFONN DISCLAIMS ALL REPRESENTATIONS AND WARRANTIES, EXPRESS OR IMPLIED, WITH RESPECT TO SUCH INFORMATION SERVICES, PRODUCTS AND MATERIALS, INCLUDING BUT NOT LIMITED TO WARRANTIES OF SATISFACTORY QUALITY, IMPLIED WARRANTIES OF MERCHANTABILITY AND FITNESS FOR A PARTICULAR PURPOSE, TITLE, NON-INFRINGEMENT, FREEDOM FROM COMPUTER VIRUS, AND IMPLIED WARRANTIES ARISING FROM COURSE OF DEALING OR COURSE OF PERFORMANCE TO THE FULLEST EXTENT PERMISSIBLE PURSUANT TO APPLICABLE LAW. YOU ACKNOWLEDGE, BY YOUR USE OF THIS SITE, THAT YOUR USE OF THIS SITE IS AT YOUR SOLE RISK, THAT YOU ASSUME FULL NECESSARY SERVICING OR REPAIRS OF ANY EQUIPMENT YOU USE IN CONNECTION WITH YOUR USE OF THIS SITE, AND THAT IN NO EVENT SHALL LAFONN BE LIABLE FOR ANY DIRECT, INDIRECT, SPECIAL, PUNITIVE, INCIDENTAL, EXEMPLARY OR CONSEQUENTIAL DAMAGES OR ANY DAMAGES WHATSOEVER, EVEN IF IT HAS BEEN PREVIOUSLY ADVISED OF THE POSSIBILITY OF SUCH DAMAGES, WHETHER IN AN ACTION UNDER CONTRACT, NEGLIGENCE, OR OTHERWISE, ARISING OUT OF OR IN CONNECTION WITH THE USE, INABILITY TO USE, OR PERFORMANCE OF THE INFORMATION, SERVICES, PRODUCTS, AND MATERIALS AVAILABLE FROM THIS WEB SITE. LIMITATION OF LIABILITY The information presented here has been compiled by Lafonn from internal and external sources. However, no representation is made or warranty given as to the completeness or accuracy of such information. In particular, you should be aware that this information may be incomplete, may contain errors or may have become out of date. You should therefore verify information obtained from this site before you act upon it. You agree to defend, indemnify and hold Lafonn harmless from and against any and all claims, damages, costs and expenses, including attorney's fees, arising from or related to your use of this site, your access to, or inability to access this site, or from your reliance upon any information contained in this site. MISCELLANEOUS Lafonn may make changes to the information in this site, or to the services described therein, at any time without notice. Lafonn makes no commitment to update this information. Lafonn does not represent or warrant that the information accessible via this site is accurate, complete or current. This site does not constitute an offer to sell or the solicitation of an offer to buy any securities and must not be relied upon in connection with any investment decision. If there is a dispute about our policies and procedures or your use of our site, the laws of the State of California, United States of America, shall apply, without regard to any conflict of law provisions, and it shall be resolved exclusively by the state and federal courts sitting in California.